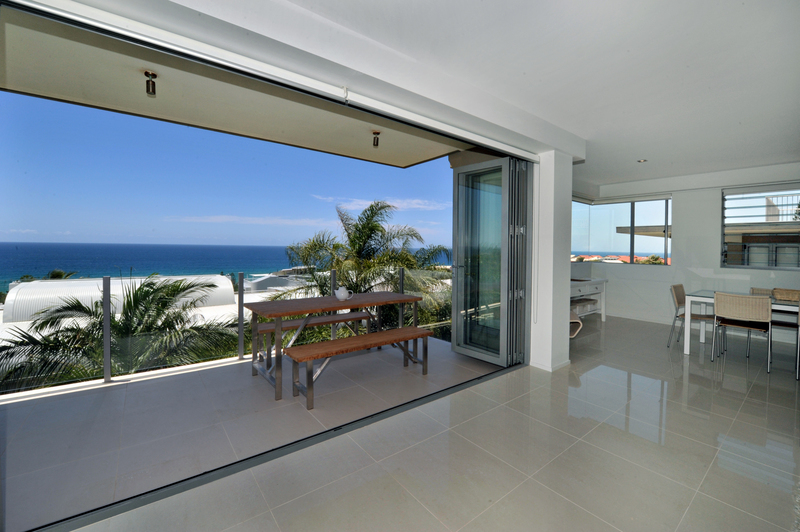 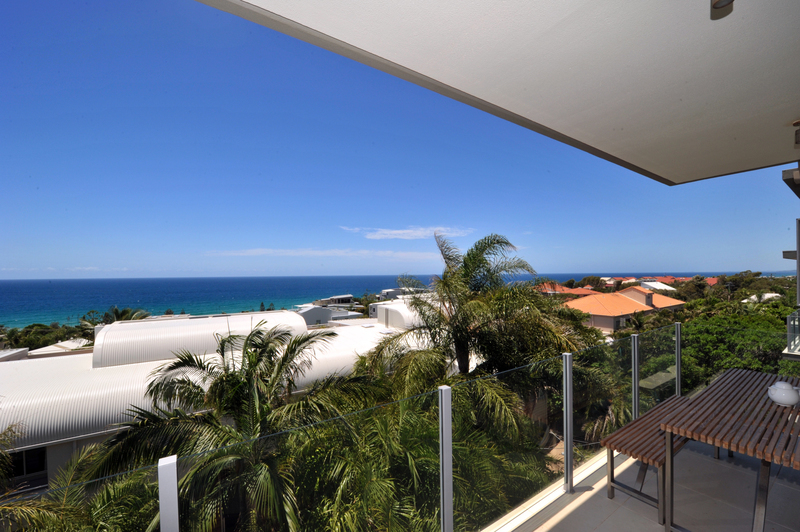 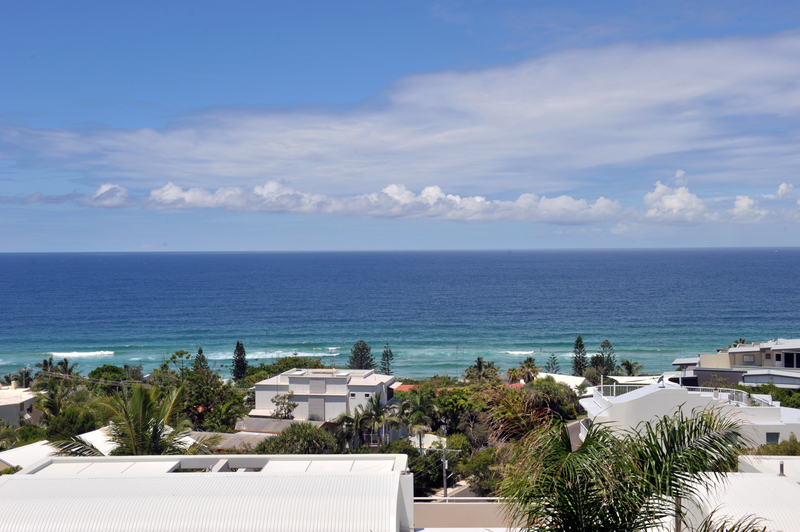 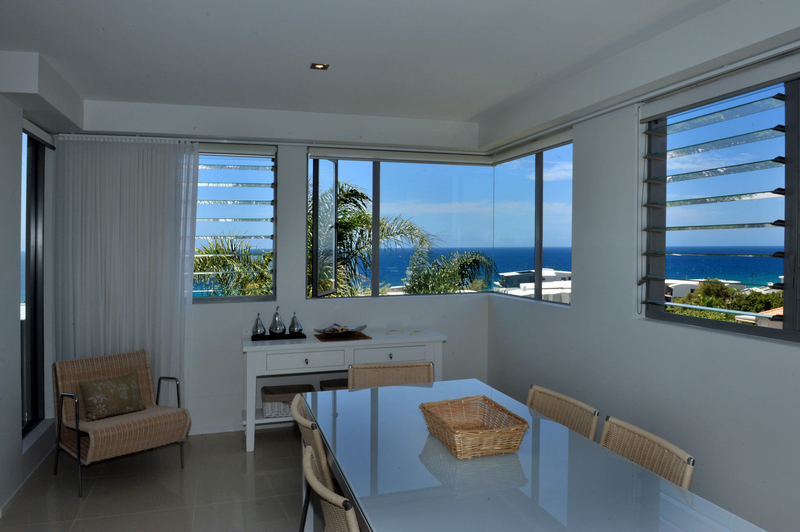 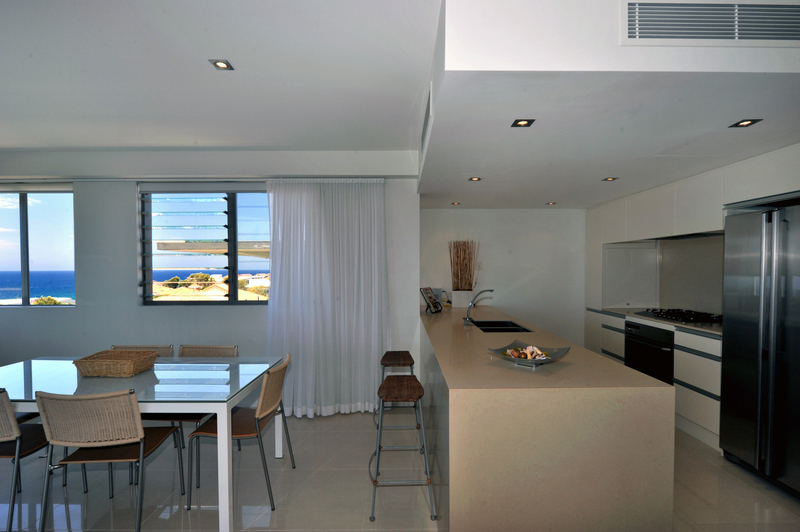 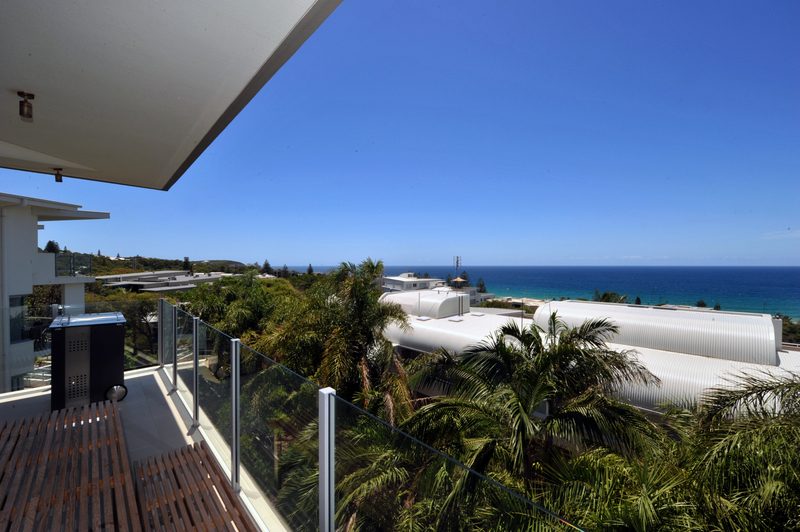 This superb architecturally designed penthouse apartment boasts spectacular ocean views and is centrally located only a short walk to Sunshine Beach’s restaurants, cafes and patrolled beach. 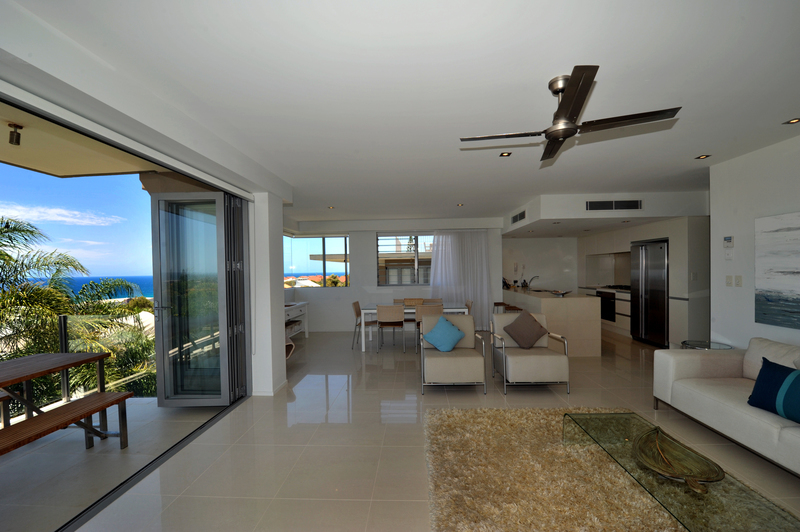 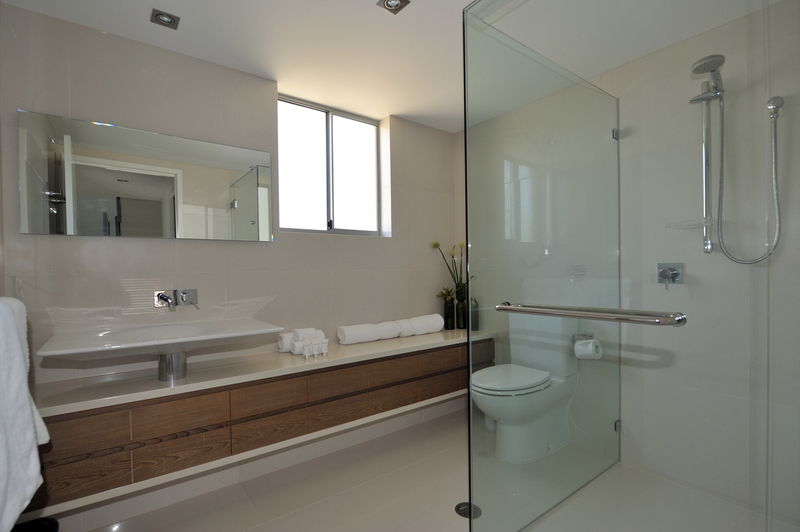 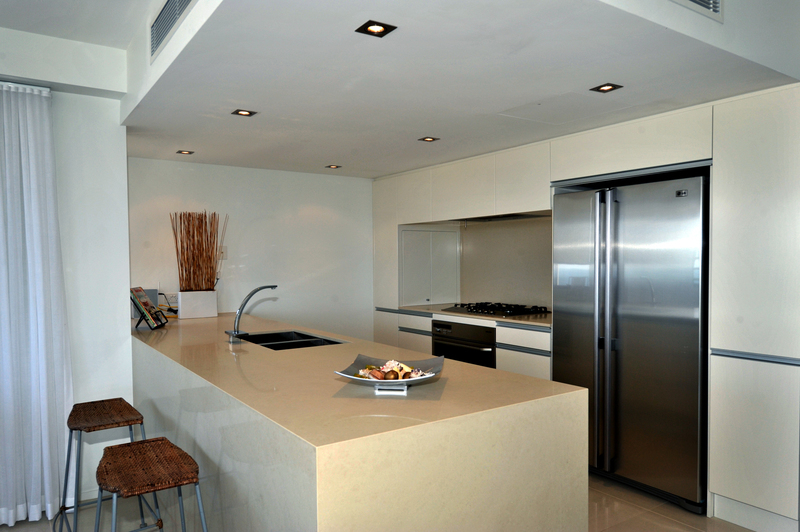 The contemporary spacious design offers style and privacy while the designer furnishings provide a pleasurable comfort. 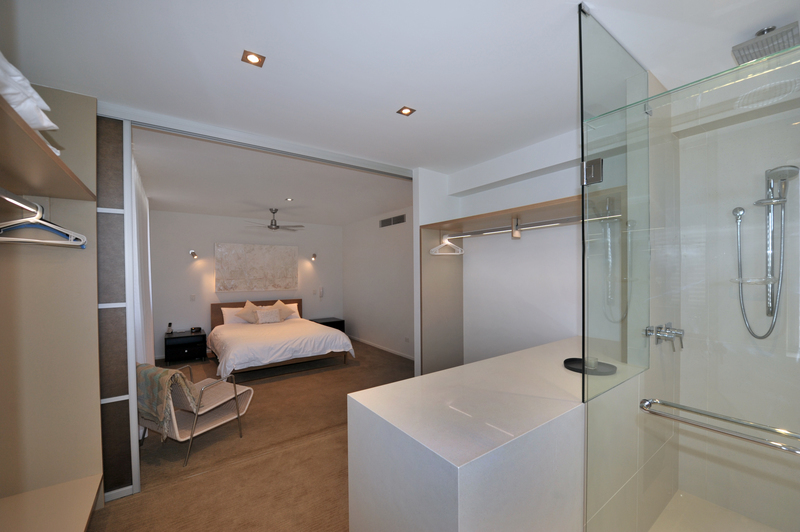 Sleeping up to 6 guests in 3 bedrooms, the Penthouse features 3 levels of living with private lift access to the first 2 levels. 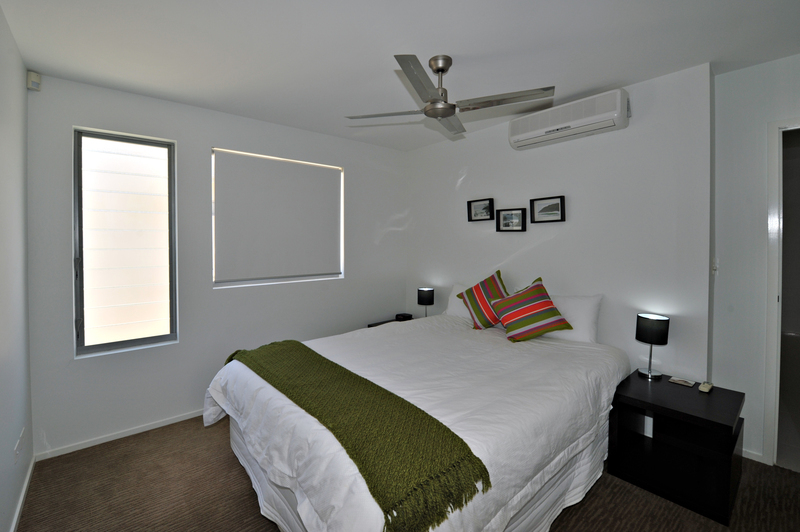 The property is air-conditioned. 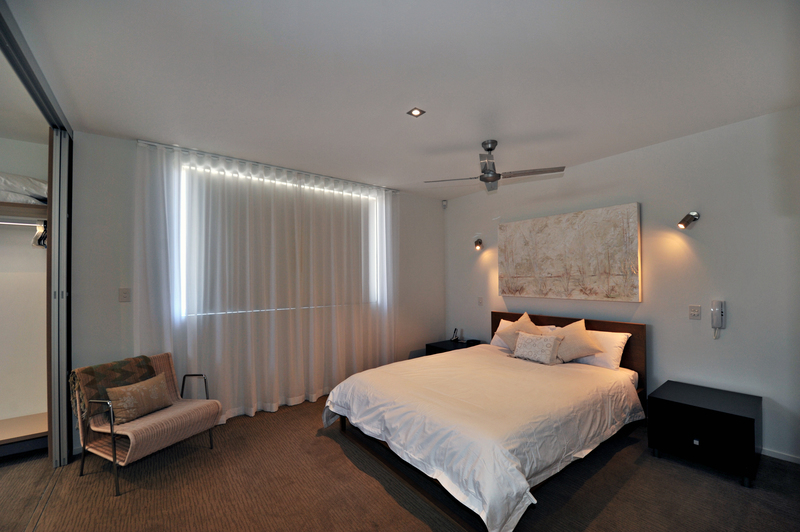 The master suite with queen bed and en-suite is situated on the top level, along with a media room and open-plan kitchen/dining and lounge area. 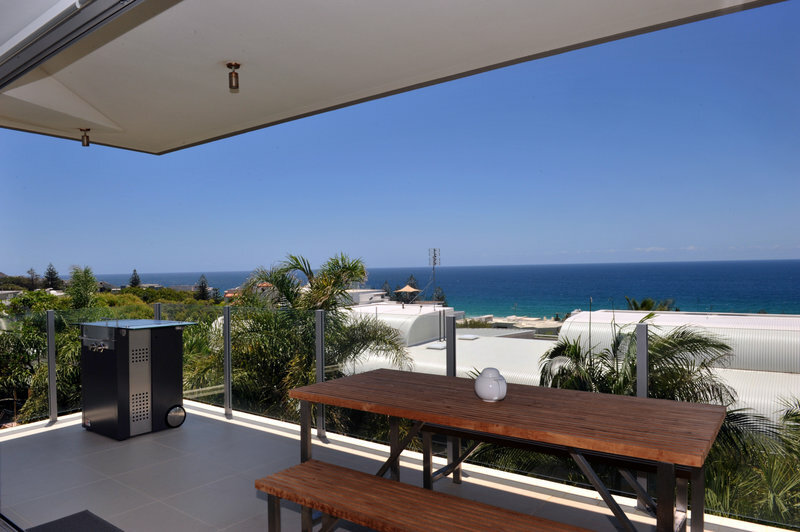 Opening out on to a wraparound balcony there is an outdoor table setting and BBQ, perfect for enjoying those long summer evenings on. 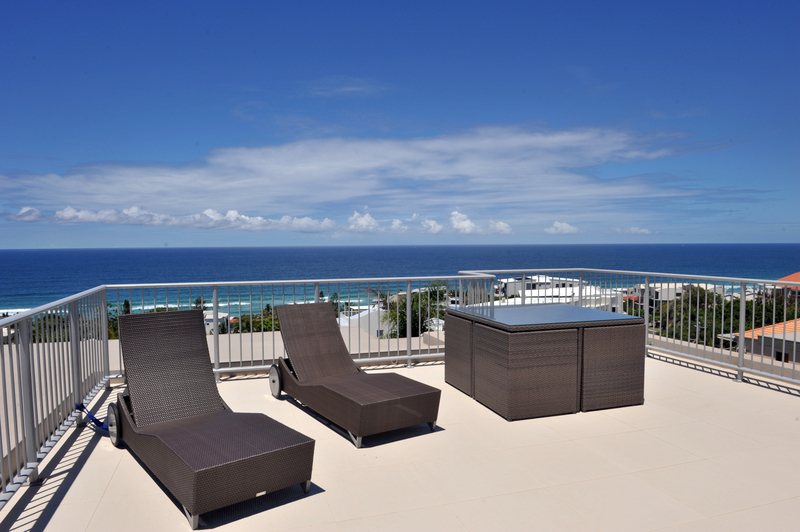 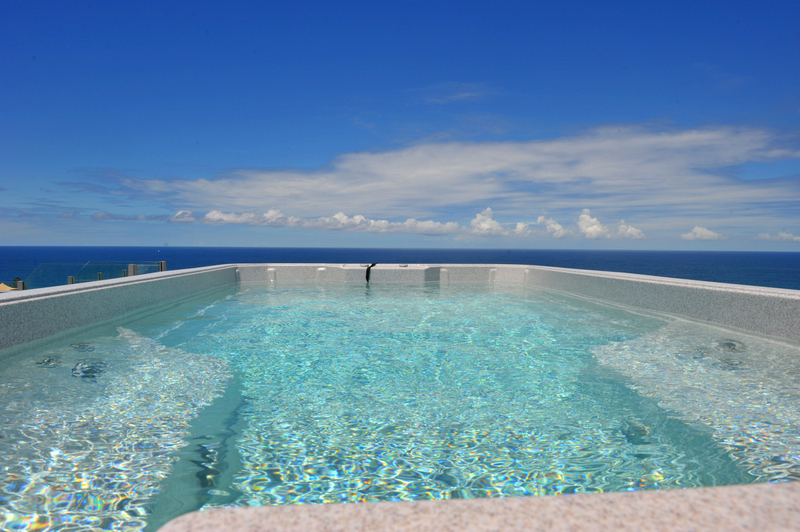 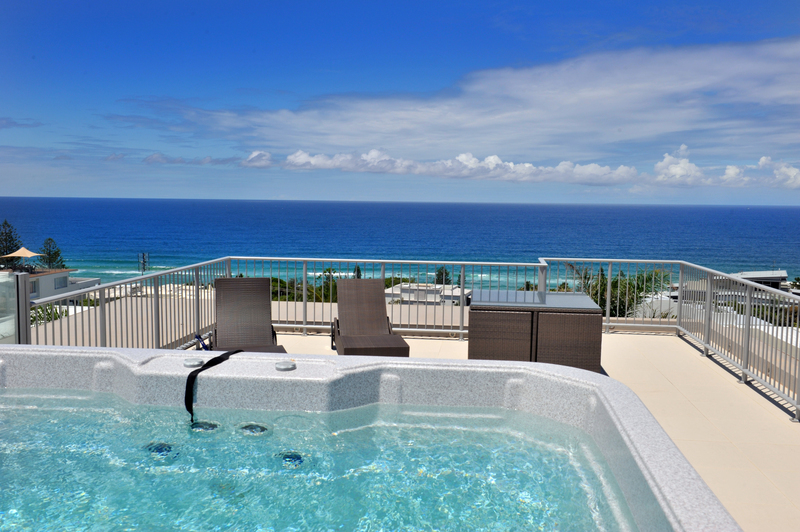 On the rooftop terrace you’ll find a large plunge pool, sun-loungers and table and chairs, with uninterrupted 360 degree views over Sunshine Beach and down the coast. 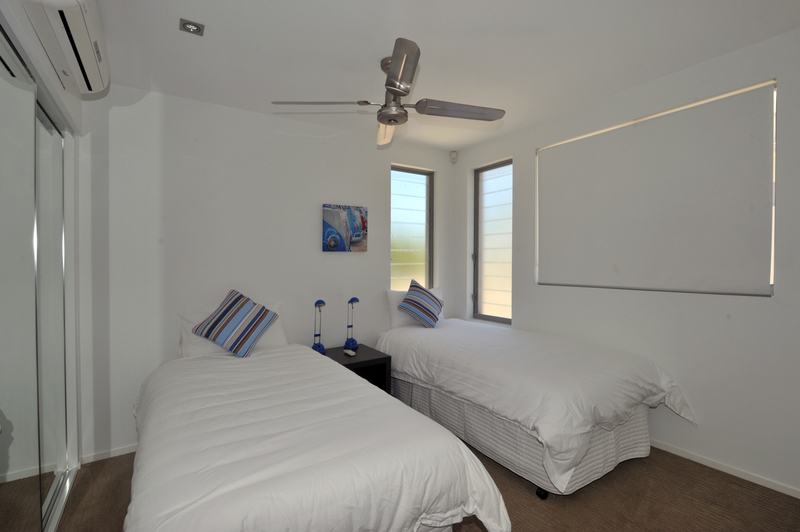 On the second level there are 2 additional bedrooms, one with a queen bed and the other with 2 singles. 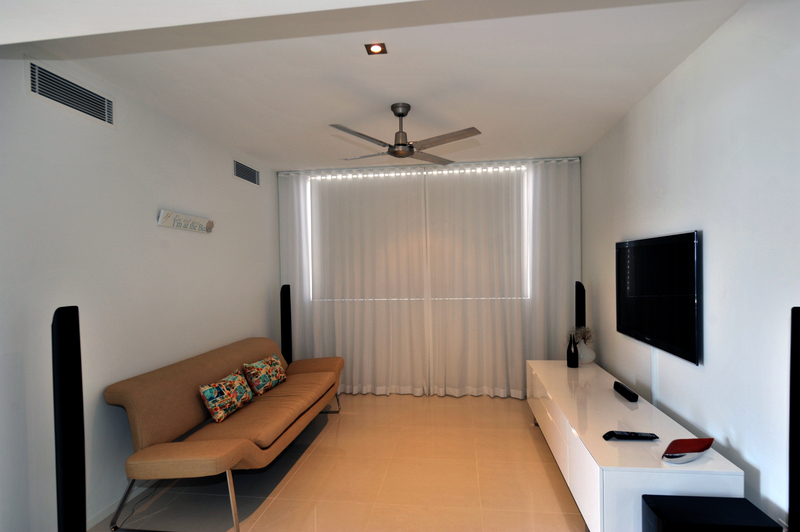 There is also a bathroom and laundry on this level. 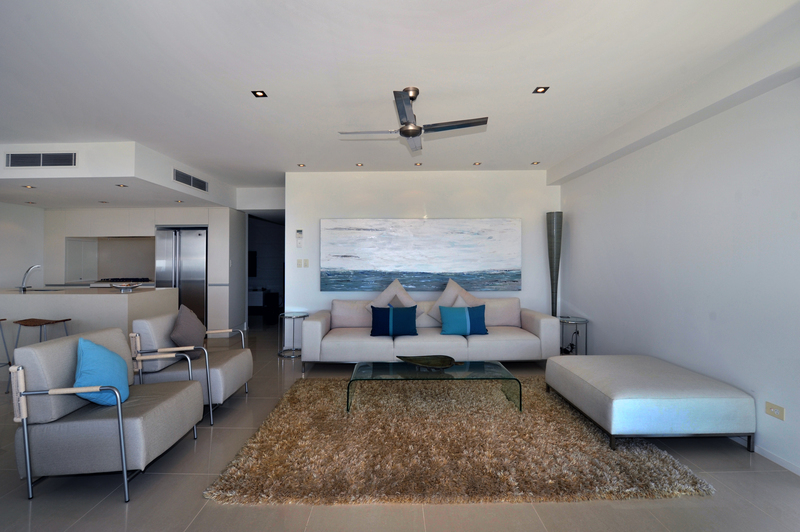 The lower level features double garage parking and private courtyard entry. 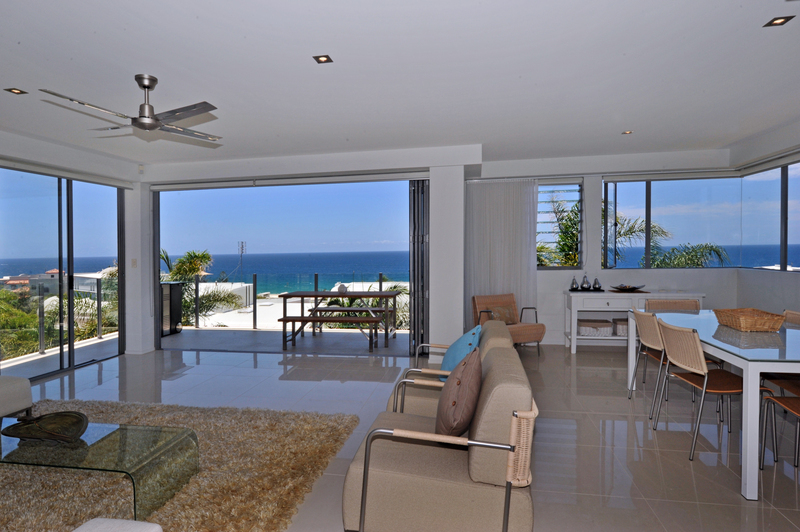 There is a 5 night minimum stay at this property in off-peak seasons. 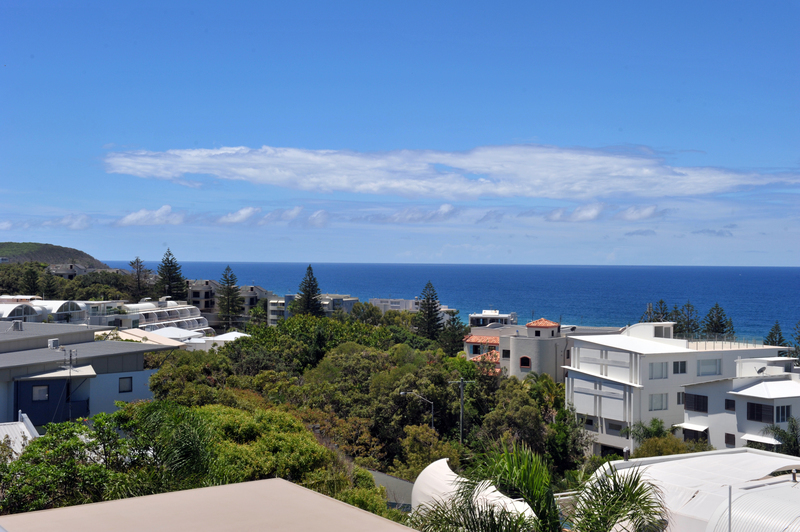 Sorry, NO weddings, functions, parties, schoolies or pets. 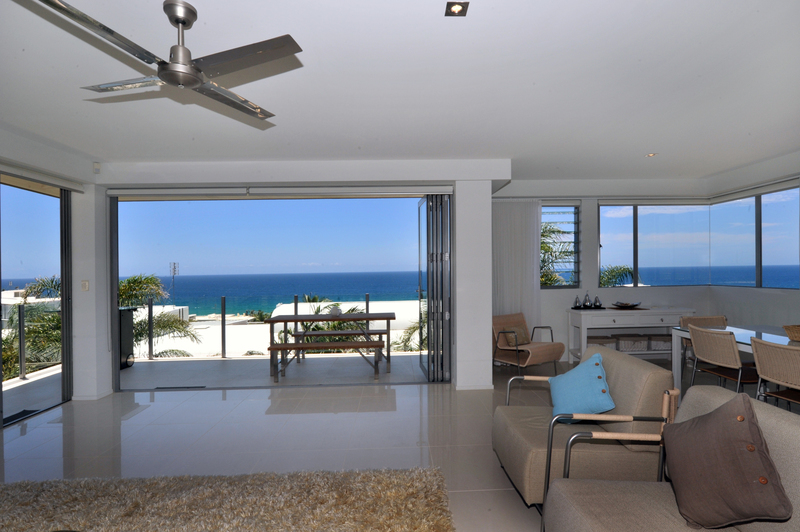 Strictly no smoking indoors. 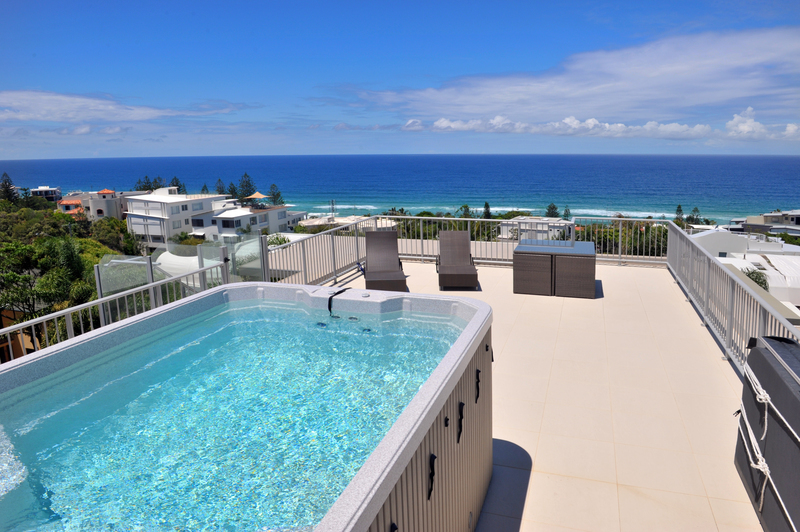 Please contact us on 1300 810 944 or book direct online today, and allow us to arrange your perfect Sunshine Beach getaway.